How do I find products which are on promotion? 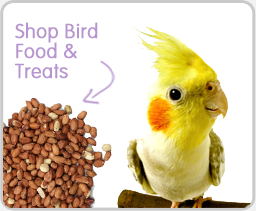 At PetShop.co.uk we offer regular promotional savings. 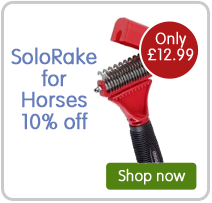 You can see these promotions by going to our Sale page, or you can tell a product is on sale by the red 'sale' banner across the right hand side of the product image. Are there other ways to keep up with the latest deals and promotions? You can keep in the loop by 'liking' our Facebook page or by 'following' us on Twitter, we also post super cute pet pics and videos which will be sure to make you smile! You can also sign up to our news letter by going onto our homepage, scrolling down and entering your details into the 'Pet Parent Post' section (see below). 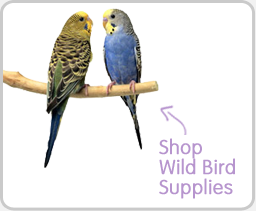 Making an order with PetShop.co.uk is very simple, just find the products you would like to order using either the search bar or by using the navigation bar at the top. Add the products to your cart, and then checkout! Yes, if you wish to make an order over the phone simply call us on 01789 205095 and we'll happily place your order for you, as well as answering any questions that you may have. Bottomless Bowl is a subscription service to provide maximum convenience and help you save even more precious time, carry heavy pet supplies and money. For more information click here. How do I sign up to Bottomless Bowl? Signing up to Bottomless Bowl is very easy, simply tick the 'Free Express Delivery with Bottomless Bowl auto re-order', as well as specifying a delivery frequency. 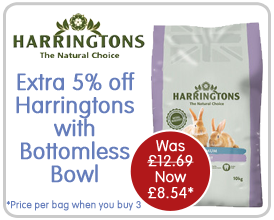 Alternatively, you can ring us up and request Bottomless Bowl for products of your choice over the phone. You can select a frequency up to 12 weeks. What is the availability of the products on your site? We stock over 14,000 products on website, but on the rare chance that we have sold out of the product that you want, we can offer you either a full refund, or we will source it from elsewhere within a week, guaranteed. We accept all cards - Maestro, Visa, American Express, Mastercard. You can either pay via our website or by phone. Unfortunately we do not accept Pay Pal. If your order has not yet been processed by our warehouse call or email us and you can change or cancel your order for a full refund. If your item has already been collected by our couriers you can simply refuse to accept it when it arrives & it will be sent back to us. There will be a fee of £12 to return it back to us (charged by our couriers). To read in more detail visit our Delivery & Returns page. Once your order has been fulfilled within our warehouse you will receive an email with your tracking number and a weblink to follow the entire process of your order, and to keep you in the loop. Here at PetShop.co.uk we are very proud of our delivery time. We do our best to dispatch all orders as quickly as possible and you should expect your delivery within 5 working days from the date it was placed, or within 3 working days if you have selected the express shipping option. Our couriers provide 3 delivery attempts before taking the parcel to their depots, but we understand you can’t put your life on hold waiting for your items to arrive, that’s why you can specify delivery information at checkout. This means you can give specific instructions regarding where to leave your parcel if you’re not home. With a neighbor? By the back door? Under the plant pot? What do I do if my order is late or even lost? If your item does not arrive within 72 hours of it being dispatched, please email us at bark@petshop.co.uk or call us with your order number and we will carry out an investigation with our courier to find out exactly where your parcel is. We will send out a replacement product immediately if the courier is at fault. For more details see our Terms and Conditions page. We have a new 365 day return policy so simply post the item back to us at: PetShopBowl Ltd, Unit A5 Precision Business Park, 100 Masons Road, Stratford Upon Avon, Warwickshire, CV37 9BY. If you are ever dissatisfied with any item for any reason whatsoever, you may return it back to us. We will reimburse you for the full value of the item. All we ask is that it is returned to us within 365 days of you receiving it and in its original/new condition. You will be responsible for the cost of returning the item. If you received free delivery then your refund will be minus the outgoing postage charge £6.00. All the parcels are carefully packed by our delivery team and then double checked but in the unlikely event you end up with a different item call or email us on 01789 205095. Leave the parcel in the exact condition it arrived and post it back to us or we will arrange for collection with our courier. We will send you a new item immediately. What do I do if my order has been stolen or damaged? All items we send are fully insured. If in the unlikely event your order is damaged or stolen call us immediately on 01789 205095 or email us bark@petshop.co.uk . What is a complete food? A complete food is a tasty, fully balanced, quality food. 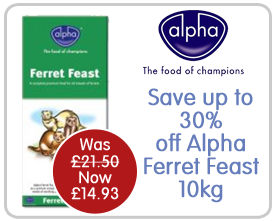 It contains all the essential vitamins and minerals to ensure the overall health and condition of your pet. Kibble is a word for ground meal shaped into pellets and used for pet foods. 'Hypoallergenic' means that the particular pet food is a lot less likely to cause or trigger allergies in your dog. It may be easy to refer to this as 'anti-allergies'. How do I know how long a bag of food will last? Amount of grams in bag / Average amount of grams to feed = Days bag will last. We wouldn't recommend this, as puppies need a lot of things to grow into healthy, happy dogs. Puppies need calcium for bone growth, protein for healthy muscle tissue, and lots of nutrients to allow these fat little balls of fur to grow into healthy adult dogs. Adult food contains nutrients for an adult dog, not puppies. Is it better to feed my dog/cat dry, wet food or both? It really is down to preference, wet food can be a great source of hydration whereas dry food is great for convenience and dental health - so a mixture can be great, however either wet or dry food are both healthy options for your dog! How do I ensure my pet has good dental health? Feeding your pet dry food is a great way to ensure healthy teeth for your pet as the chewing of the pellets helps to decrease the build up of dental plaque and tartar. Also, using dental treats are a great way to help teeth too, one of our best-sellers is dentastix for dogs and is very popular with our customers! How do I ensure that my dog has a healthy skin and coat? To ensure a healthy coat and skin there are many different things you can do, including feeding them a balanced healthy diet, regularly grooming your pet and keeping your pet clean with shampoos and regular washes. For more information click here. My dog/cat is overweight, what should I do? 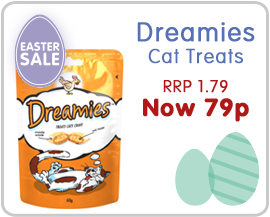 If you feel your dog or cat has put on a few pounds to the point where it's unhealthy, then giving them a light food is a great option we stock many different brands for both dogs and cats. For more information, click here. What is 'breed-specific' and is this better to feed my dog? Breed specific diets have their benefits as they contain ingredients which are tailored to that specific dogs needs, for example Chihuahua food will have kibble adapted especially for their small jaws. However they aren't essential, it's just as healthy to feed your dog a normal food - it's simply down to preference. To look at some of these diets click here. What are veterinary diets and how do I know if my dog needs one? Vet recommended diets have been scientifically formulated to ensure that your pet gets optimum nutritional value from every meal. They are also tailored to specific needs, for example if your dog has problems with their renal health and will be recommended by your vet. 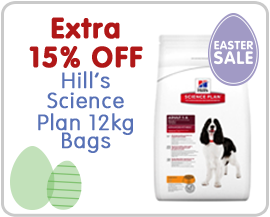 At PetShop.co.uk we stock many vet diets including Hills, Eukanuba, Dechra and more. Why is it important that I feed my dog food based on their life stage? It is important to feed your dog a diet that is appropriate to their life stage as it provides balanced nutrition that can go a long way in keeping them happy and healthy. Puppy foods have higher levels of protein, fat, calcium phosphorous, sodium and chloride in comparison to adult foods - this is to support your dogs rapid growth and development. Adult foods are the appropriate choice for most adult dogs as these foods provide the balanced nutrition needed to keep dogs that are in the prime of their life healthy and happy. Senior diets tend to contain lower levels of fat to help prevent weight gain, increased levels of anti-oxidants or moderate levels of protein aimed at maintaining muscle mass while not overworking the kidneys. For more information on life stage specific diets click here. How good is my dogs food? All complete pet diets do contain enough amounts of the nutrients that dogs need (only from what we know from previous research) but there is a huge difference between the quality of bottom-end and top-end brands. Have a look where the diet you feed your dog is below (or a similar brand) and can if you're feeding your dog a lower-scale brand maybe upgrade them to the next group. People often ask this question as dog food is usually cheaper than cat food, and many cat owners have seen their cats stealing dog food from their dog's food bowl and wonder whether it's okay for cats to eat. We certainly don't recommend it, cats and dogs both have very different nutritional needs and therefore should have different foods to suit them. A few nibbles from the dog bowl however won't do your cat any harm! What can I do to prevent my dog/cat from getting fleas? 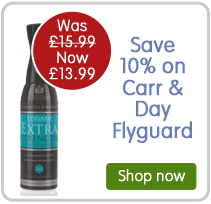 Regular flea treatment is important to keep your pet safe from the nasty parasites that are waiting to jump on to your pet during walks and even in your own garden. 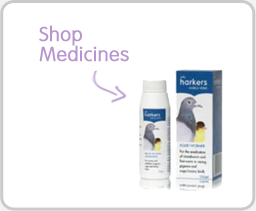 We stock plenty of flea treatments at PetShop.co.uk including Frontline, Bob Martin, Johnsons and Beaphar. 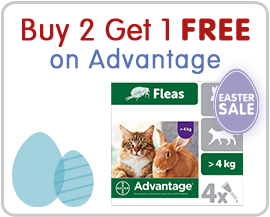 For more information about fleas and treatment click here. Is your question not here? 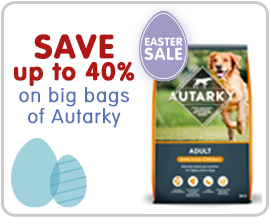 E-mail us at bark@petshop.co.uk. Please feel free to call us any time on 01789 205095 and we will help you with any other questions you may have. We are always trying to improve our service so if you have any comments on how we’re doing or what we could do to be better then let us know. 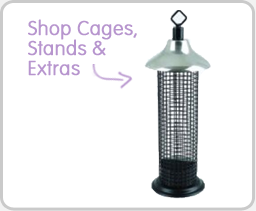 Call us on 01789 205095 or email us at bark@petshop.co.uk.